Thanks for the recipes; I enjoy them and hope you save them on your site for us. enjoy your newsletter and have purchased toys from an ad. The staff at Riverbender.com has exemplified outstanding customer service in regard to my advertising and website design. As a local business owner, I strongly recommend their services for your business. Wendy Wickenhauser has been my rep from Riverbender.com for the past few years. She has taken our completely outdated website and turned it into something that has been a great tool for our customers. The enhancements have greatly increased the traffic on our site and overall business. When choosing a remodeler customer's are often bombarded by fly by night companies that do not have a website at all; our website helps us differentiate ourselves as a reputable and trustworthy company. She does a fantastic job and helps us constantly update and tweak things on the site. I couldn't be happier with the work the Riverbender has done. Needing a complete overhaul of my website my search began for a new host/design/advertiser..I could not find that many companies that would accommodate ALL of my needs. Riverbender has been a great tool for my business. Riverbender was able to design me a new website which I have had a lot of compliments on. They were able to set it up where I can access the site to update with new pictures, info, etc... The traffic that I am getting on my lot has definitely increased. I can verify that by the number of customers that tell us that they have seen a particular trailer or a sale ad on Riverbender. Support has been great! If I needed something Wendy was right there to assist me. I am 110 % completely satisfied with everything Riverbender has done for me. THANK YOU! I love my site and more importantly my clients love it as well. It makes working on vacation worthwhile. Thanks for all the attention through my many changes, indecisions and the Loopnet delay - you guys are the absolute best! John, you're okay as well! From a non-programmer or graphic artist perspective, you captured exactly what I wanted and brought it to life. I wish I had your talent level more consistently in doing what I do! I am forever grateful! Just another BIG THANK YOU to you both! I am so proud at the way the video turned out! Exactly as I had hoped! We are getting tons of positive feedback and requests for copies! I am thrilled! 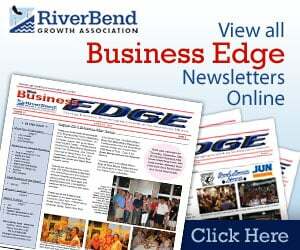 I know it is on the Riverbender.com site, when will it be on our ad? Thank you both so much for making this a fun and easy process! ANOTHER item sold on riverbender.com...thanks again!...The Riverbend's best website...hands down with a thumbs up too. Hi RB'er..... I have sold a couple of my items on RB & just wanted to thank you for allowing me to advertise some of my personal items for sale. I always talk up your site to all I know in our area. I even got a phone call from Cal for one of my items! The site is really smartly designed-easy to navigate & pleasing to the eyes as well. Anyway, thanks again...... your staff is doing a great job & keep up the good work. Thank you so much....... You are my new way to view what is going on in the town....I didn't even know what the Riverbender is, until a friend told me about you yesterday. I am not easily impressed, but you impressed me. Riverbender has my full support and I will pass you along to everyone I know. Thank you again so very very much. Each morning you will be my first stop. I just want to thank you for the fabulous website you have - in particular the free classifieds. I had a house full of furniture I needed to get rid of quickly. Twenty-four hours later, it's all gone, thanks to the ad on your site. Thank you very much for your free service. My lawn mower that I listed was spoken for within an hour. I will do anything to promote Riverbender.com! Mike was outstanding at jumping into action to help me avert disaster and Kari's design for the TransitionsCounselingServices.com site are a hit. I'll do my best to drive more people to the site and cross promote much better. I am writing to thank you for everything you have done and continue to do for the City of Alton. When I initially approached you about possibly updating our website and becoming our email provider, I had no idea what I was actually asking of you. At that point, I only knew enough about the process to be dangerous. You were more than willing to meet with our department heads and let us discuss our concerns and desires. From that meeting, it was agreed that you would redo our website and give us email support as soon as our contract with Clearpages expired. You were quite the bargain as it turned out; you updated our website and all department webpages for 50% less than we paid for the original website 10 years ago! You also agreed to a monthly maintenance fee equal to the amount we had been paying our previous vendor. In turn, we agreed that our facilities might be able to provide Riverbender.com with some marketing opportunities as long as they were tied into some of the City's programs and services. I think it's obvious that we both have benefited from the arrangement. As treasurer of the City, I appreciate the service you are providing. You are using your time and talent in a way that is benefiting the whole Alton community. For that, I thank you. I am excited about the upcoming season and your involvement with the Legion summer season. As you are aware we are host to the 5th division playoffs slated for mid July. We are also bidding on the Regional Tournament for 2010. Having Riverbender involved with these high profile playoff tournaments also allows Riverbender to help promote the Alton Region outside of its boarders As a coach i find the video option that Riverbender provides not just as an entertainment choice, but more as a teaching tool. Its a great opportunity to review with the players, and use the power of the video image to help correct not only the individual play, but the teams play as well .I feel that having Riverbender being involved at the park, helping to promote athletic participation for the youth of this region is very powerful. Many communities do not have this kind of opportunity available, and not to explore it full potential would be cheating the youth of this community. You people at RIVERBENDER.COM are great! The ad looks really good and ties in to the web site, wonderfully......! I think I like this better than the first way. And for the price..........even better! Thank you so very much for the video footage on your web site and all the pictures that you took last Thursday evening. I know Brenda Moore has been in touch with you already but we are so grateful for your help in promoting our '1st Annual Reflections of Style' fashion show. The communities support means so very much to us! Thank you very much Dawn for being of help. I am going to be gone on vacation and I wanted to get these events on your calendar before I go. So now I will feel secure that you will add the two addition for Nov. & Dec. and I will not have to worry about it. I pass the word along to many people stating how blessed we are that Riverbender.com gives us this opportunity to display our animals. It really helps us in finding loving homes for animals that may have not been used to love. Last week I was able to view the complete video of the Alton High 2008 graduation ceremony. It was wonderful to see and brought back many memories. Thank you very, very much for making that video available on your web site. Thank you so much for broadcasting the 2008 Alton High School Graduation Ceremony. We are grandparents to one of the students and are living in Ukraine. It was Wonderful to see our grand daughter. She was one of the Platinum Alphas and it was great to be there to see all this. The web site looks great! The investors have seen the site and they were very happy! In fact the administrator of the Hospital here in Jerseyville would like to contact you in regards to possibly producing a web site for them. Hi John. Tammy Whitley here. I recently found your web site and am very pleased with it. I just wanted to share with you how easy I found it to be to use and how helpful, also. I scrolled through the classified, sort of looking at jobs, then glanced through the wanted section, mostly out of curiosity. I found an ad where someone was seeking an item I had. The item was just sitting around here, collecting dust. I contacted the lady from the ad, she emailed me back, and we got together in a few days time. She got what she wanted, I made $20 off of something that was really just an extra to me, and everyone was happy. Even living about 30 minutes away didn't really matter, as my parents live in Wood River, so I was traveling that way anyway, and set up to meet in Alton with the lady from the ad. All in all, a definite win for everybody. With gas prices the way they are these days, shopping locally (using common sense) is more important than ever. Thanks for a great web site, very easy to use (I hesitate to say user-friendly, as I just really dislike that overused term! ), comprehensive coverage, nice area calendars with local events, good coverage of what is happening in our general area, and even free email. What more could a person want? Thank you for sharing your business experiences with our SCORE volunteers. Success is the end goal for SCORE and the volunteers are attuned to that end. Many times our success is stopping an individual from making a bad business decision before going into business or assisting an in-business individual or firm who is experiencing problems. Your story is perhaps the ultimate "success story" for anyone. Congratulations on past and present successes. Thank you so much for your video of "Seven Brides for Seven Brothers" at MCHS. My son Chris was Adam in the production. We appreciate you making the video available. Thanks even more for your support of Marquette and all of the RiverBend! I was wondering if you're planning on having live video of the regional game between Alton and Edwardsville on Friday night. The video of last friday's game was amazing, and I'm really hoping to be able to watch this next one. My brother is on the Redbirds, but I'm in New Orleans and unfortunately can't see it person. I would love to be able to watch it online, though. If you could please have video of it, it would make my whole weekend. I love your web site! Thanks. I am a new member. I love your site and the service you provide.... Your free classified section is great! I just visited your web site again and think it's the best! I'm from Alton but have lived in the Milwaukee area for over 30 years. Your site keeps me updated and still makes me feel like I'm back home. Thank you for the wonderful reading. I have attended almost all of the Alton High games this year, even away games. I was unable to get a ticket to tonight's game and was really disappointed until someone told me about your site. I hooked my computer up to my big screen tv and it was like watching a pro game. THANK YOU so much for making this available. You have a new FAN. Again, THANK YOU. I was among the many who could not get a ticket for the recently sold out Alton-Edwardsville HS boys basketball game. I would like to commend WBGZ Radio and Riverbender.com who enabled me to watch and hear the game via the internet. Great job, it was the next best thing to being there. Just wanted to thank you for your service. I sold my furniture and received the price I wanted.